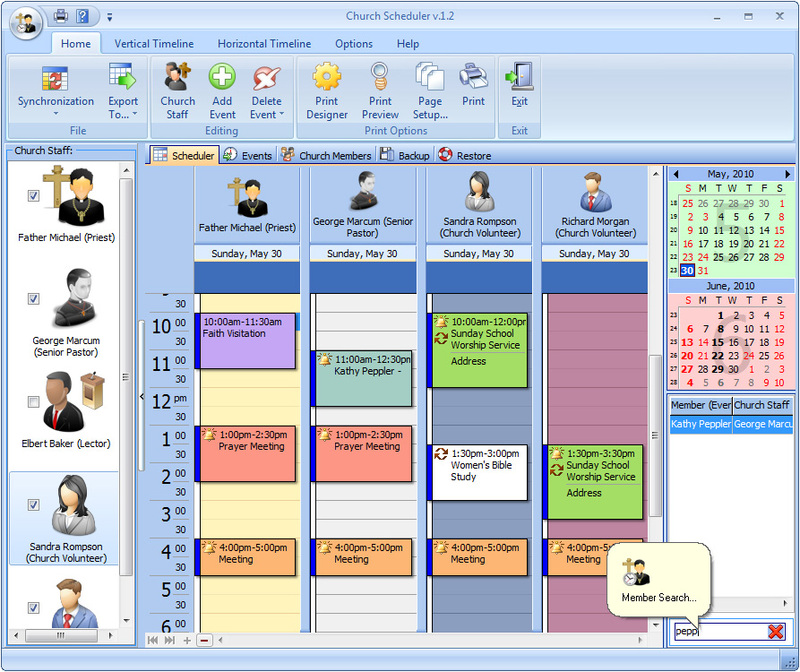 Church Scheduler is a specialized software that assists churches and other religious organizations in organization and automation of daily events. It’s perfect for church staff to plan working hours so that the events do not overlap with someone else and keep track of scheduled appointments. It’ll store the information about church members, such as their address, personal info, notes, comments. Use the large memo field to enter the family member information and any other information that will help the person making the visit more informed. Once the data has been entered the first visit can be scheduled. A report can be printed listing the scheduled visits for any number of days by entering a date range. Easy to locate members by just clicking on the Search button. In the Search box, type letters or words you want to find. The results appear as you type. The more you type, the more precise the results are. 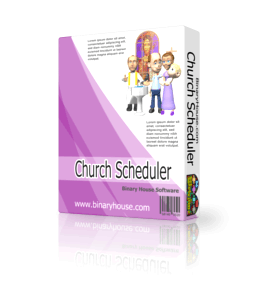 Church Scheduler is comprehensive, yet easy to learn and use. The program now allows for recording donations. Supports contributions by church members or non-members. Provides reports listing contributions for selected dates and summarizes contributions. The program gives you a customizable Date Navigator and comprehensive reminder. It’s highly flexible, allows changing time intervals, creating numerous profiles and viewing multiple schedules at a time. For those people, who work in Microsoft Outlook, it’s possible to export data. Export of data is available to different formats: iCal, XLS, TXT, HTML, XML, PDF for its adaptation for other programs. When you need a printout of your schedule, you’ll certainly appreciate the powerful Print Designer. It’ll help you to print your schedule in the most convenient form, choosing from a number of templates. In case of crashes or virus attacks, there is an auto backup function with a possibility to remove old archives automatically. Powerful software to make your church administration more efficient!